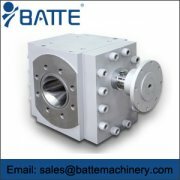 Gear pump for reaction kettle, which also called discharge gear pumps for reactor, can accurately controll molten material displacement by the pump speed, and is mainly used for transporting medium or high viscosity medium out of the vacuum reaction kettle. 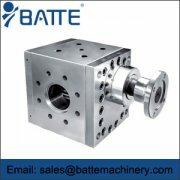 Gear pumps for extruder include CE, ZB-B, ZB-C, ZB-E, ZB-H, and other series extrder gear pumps. 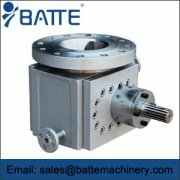 These melt pumps include high temperature gear pump, high pressure gear pump, standard pumps, etc. 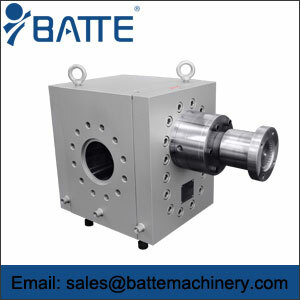 Chemical prepolymer pumps includes ZB-W and ZB-X types. 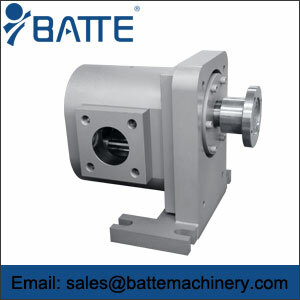 This metering gear pump is a kind of melt pumps whose main parts are gear structure. 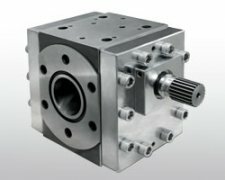 Metering gear pumps transport, boost, meter the polymer melt through the gears. 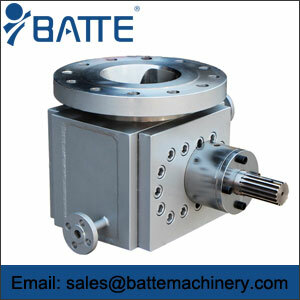 Rubber gear pump(ZB-R) is also named as extrusion melt pump or gear pump for rubber, and has the function of automatic cleaning efficiency, simple design, optimization of the fluid channel. 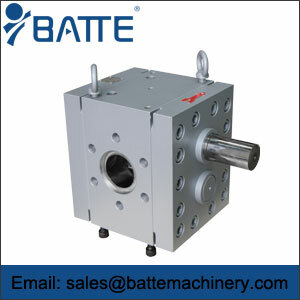 Pulse rate is lower under high pressure differential. 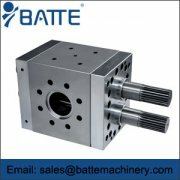 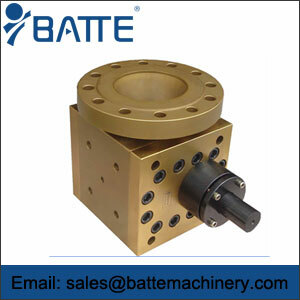 Batte double shaft rubber pump belongs RS series rubber extrusion pump, and double shaft driver of this type melt pump can effectively improve the power, stabilize output, and reduce gear wear down.